The first signs of warmer weather are finally appearing in the District, and it’s the perfect time to explore The Belgard’s prominent location in the exciting NoMa neighborhood. At The Belgard, you’re moments away from some of D.C.’s best shopping, restaurants and nightlife, with endless opportunities to enjoy this vibrant community. If you’re new to the area, we invite you to start your journey at Union Market, D.C.’s pioneering urban indoor market and social hub. 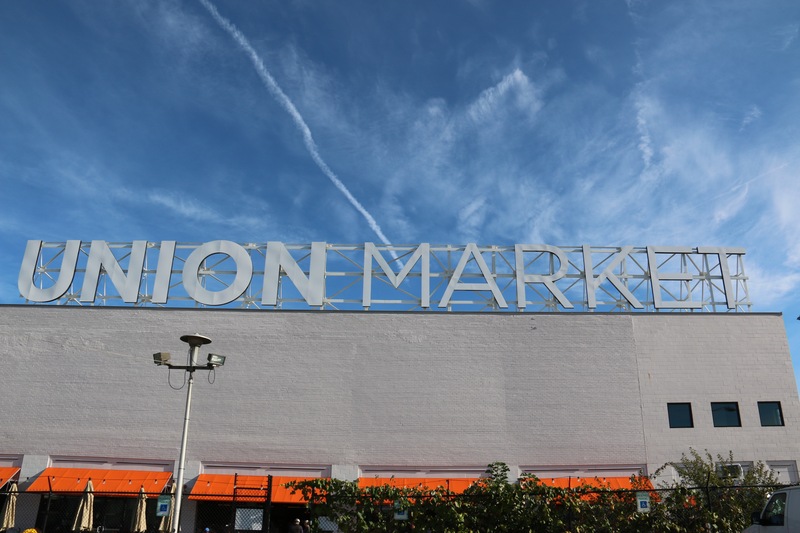 Union Market has a long history in Washington, D.C., as a gathering place for the community. Its original iteration was as Centre Market, which opened its doors in 1871 and served as a melting pot of cultures and commercial enterprises until it was closed in 1931 to make way for the National Archives. Since then, the market has continually reshaped and reinvented itself with the changing times and now is a thriving, iconic landmark in the NoMa district. People journey from every corner of D.C. to experience the energy at Union Market, but at The Belgard, you’ll be just steps away. With unique vendors, vintage finds and more than 50 delicious independent food stalls, Union Market is a destination you’ll return to again and again. Shop exquisite aesthetics at Brief Assembly and Salt & Sundry to accentuate your residence at The Belgard. Spark your green thumb this spring with the plethora of foliage at Little Leaf, and discover hard-to-find international food and groceries at Toli Moli Burmese Bodega. Eat your way through a cross-section of world cultures with food vendors like TaKorean, Prescription Chicken, Gorsha Ethiopian Eatery and more, while sampling craft beers and cocktails and soaking in the sun on the outdoor patio. Union Market is a hub for exciting events as well: join Buffalo & Bergen’s monthly Watercolor Cocktails event with artist Marcella Kriebel, where you can paint and sip away an enjoyable evening, or test your home brewing skills with Craft Kombucha’s Kombucha 101 classes. Don’t forget to check out Union Market’s Angelika Pop-Up multi-screen cinema as well — this transplant from the Angelika Film Center in New York City’s SoHo neighborhood features a signature mix of specialty film programming and unique events you won’t want to miss. And if you’re too comfortable enjoying the spring weather from our luxe rooftop resort or from your peerless residence to leave just yet, Union Market offers online shopping with local delivery or free pickup — it’s just another perk of living life in high regard at The Belgard.